Lenovo Lemon X aka “Lenovo Vibe 3X”, Lenovo’s most powerful and stylish smartphone, with fastest hexa-core Qualcomm Snapdragon 808 and 21-MP Camera spotted online with specifications and images. 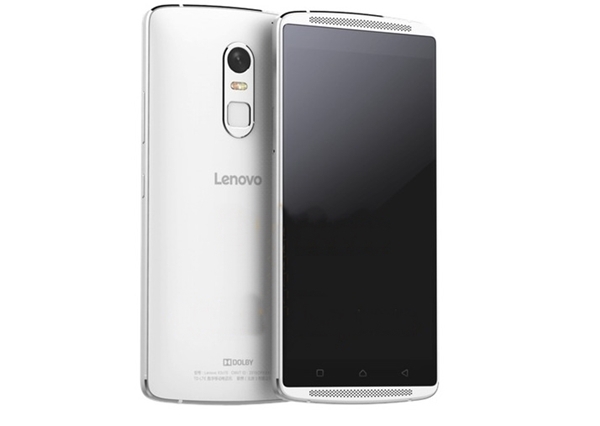 If rumours come true Lenovo Lemon X will by Nov will be priced Approx. Rs 30,000. It will counter HTC One M9 Aero. Lenovo has recently unveiled Lenovo Vibe P1, Lenovo Vibe S1, Lenovo Vibe P1m at IFA Berlin 2015 and Launched Lenovo A7000 Plus. According to latest leaks, Lenovo Lemon X will support Dual-SIM(MicroSIM), 4GLTE, NFC, 3G, GPRS/ EDGE, Wi-Fi 802.11 b/g/n, GPS/ A-GPS, Micro-USB, and Bluetooth comes with a bigger 5.5-inch Full HD IPS display with resolution (1080×1920 pixels) and 441PPi offers you stunning colour consistency with wide-angel HD viewing perfect for watching movies, playing games and reading e-books. Lenovo Lemon X will be powered by a fastest A hexa-core Qualcomm Snapdragon 808 processor clocked at 1.7GHz and runs on Google’s most advance Android 5.1 Lollipop OS with Vibe UI 2.68 on top with 3GB RAM, 16GB/ Internal memory and 64GB expandable memory promising blazing multi-tasking. Lenovo Lemon X will sport a huge 21-MP auto Focus OIS Rear camera with two-tone flash focus and PDAF (Phase Detection Auto Focus) for shooting promising superior photography in low light and 8-MP front camera best for video calling and selfies powered by a monster 4000mAh battery with Quick Charge 154×76.4x 9.4mm and weight 175 gm. At last few honest word, upcoming Lenovo Lemon X is the best gadget from Lenovo. What you think? Please stay tuned for more updates. I want to buy Lenovo lemon x….so ..please.. Kindly take pre order booking.